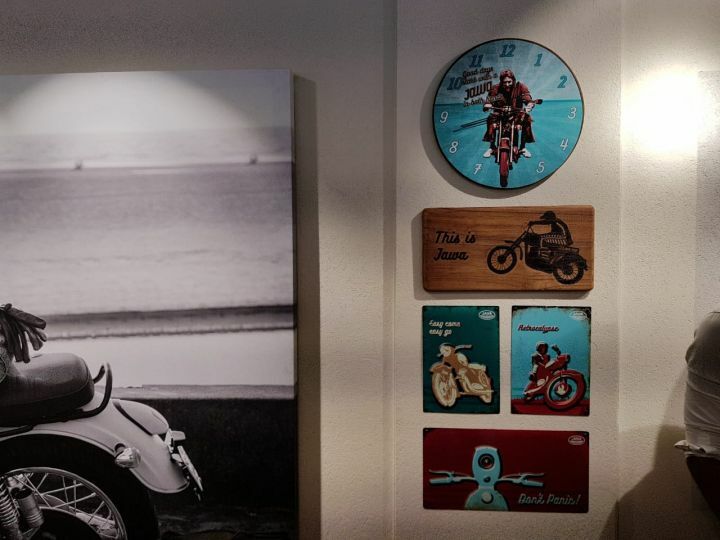 Lifestyle accessories and riding gear will be on display at the dealerships as well. After the re-introduction of the Jawa brand in India, fans and potential customers now have two dealerships in the country to go and check out their latest offering – the Jawa and the Jawa Forty-two. Classic Legends has inaugurated the first two dealerships in Pune – in Baner and Chinchwad, named Shakti Automobiles and NSG Jawa, respectively. 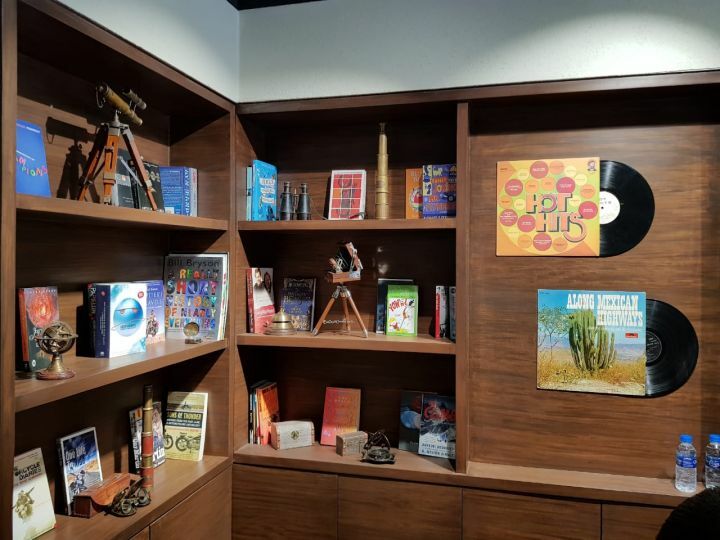 These showrooms were inaugurated in the presence of Boman Irani, one of the three founders of Classic Legends and Ashish Joshi, Chief Executive Officer, Classic Legends Pvt. Ltd. The showrooms will start giving out test rides to potential customers from Monday (17th Dec, 2018) onwards and have started accepting bookings for a token amount of Rs 5,000. Deliveries of the motorcycles are expected to begin in March after the production starts in late January – early February 2019. All of the 105 dealerships planned in the first phase will be operational by end of January 2019 and each dealership will have its own dedicated service centre close by. 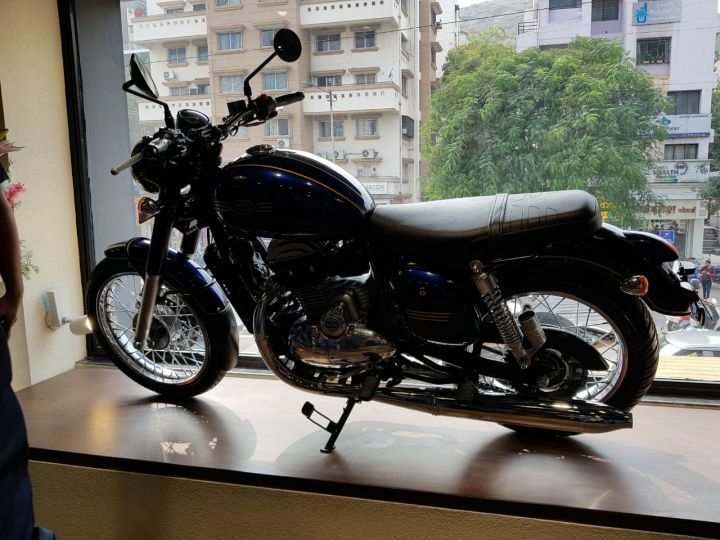 The Baner dealership (Shakti Automobiles) has a carpet area of 1600 sq-ft and is divided into various zones like riding accessories, lifestyle products and a bookshelf, with the bikes being displayed near the windows and in the middle of the space. 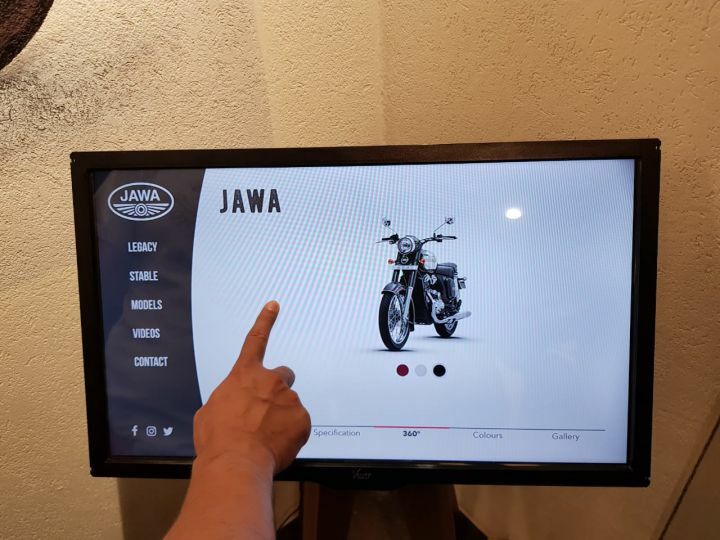 There are also some cool and modern touches like touchscreen monitors which the customers can use to check out various colour options and specifications of the motorcycles, and learn about the history of the brand as well. 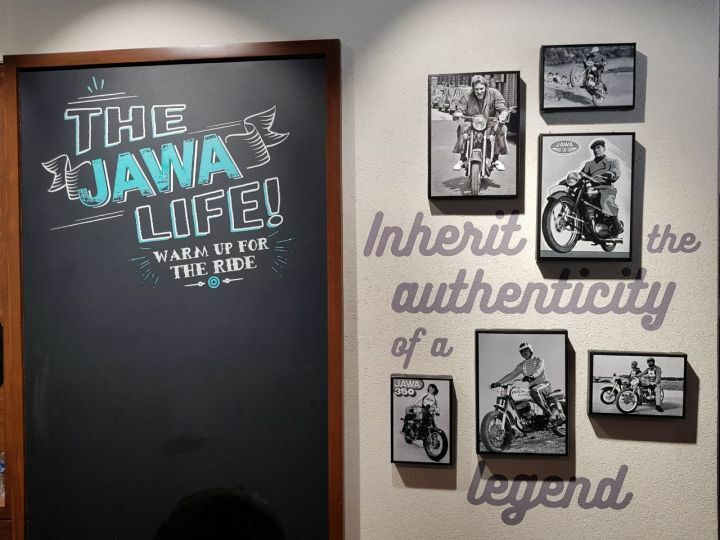 Further connecting the dealership with the roots of the Jawa brand is the decor which consists of old Jawa posters, wall decorations, dark wooden inserts and some more old-fashioned touches to give it a hipster cafe look. A point of note is that both these dealerships have their own service centre (as will all future dealerships), albeit located slightly away from the showroom itself. All other Jawa dealerships will be based on a similar template. The Baner Road showroom is located adjacent to a Royal Enfield dealership, which Joshi claims is a coincidence. 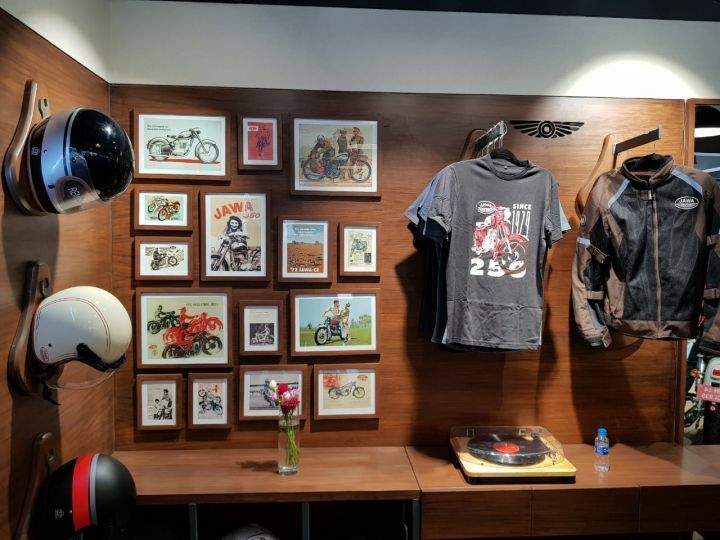 This location will benefit the brand as a lot of walk-ins from the Royal Enfield showroom will surely set foot to check out the Jawas, as both brands are offering a range of classic motorcycles. Both the Jawa motorcycles which have been launched are powered by a 293cc liquid cooled, single cylinder, DOHC engine which produced 27PS of power and 28Nm of torque, and comes with a 6-speed transmission. A lot of sound engineering has gone into the exhaust system to give the Jawa a unique note, and make it sound as close as possible to the two-stroke Jawas of yesteryear. We have ridden the bikes and if you wish to check out how they are, check out the link below.